As an author, you want to put your work in a place where it will be read widely. Indeed the people funding your research (including your own University) may demand that you find a way of doing so. But not every journal promising open access to your work is quite what it seems…. In the wake of the campaign for more ‘open-access’ publishing, most journals now offer authors the chance (for a fee) to make their article available to anyone and everyone (not just the journal’s subscribers). For example, for ROLSI, Taylor and Francis charge authors (or whoever is paying on the authors’ behalf) $2,950 / £1,788 / €2,150. That’s frightening for an individual academic, and unsustainably steep for an institution (a medium-sized University might have staff producing 1000 articles a year, costing nearly $3 million or £2 million). Or the government – through its research funding agencies – might pay, but that would be politically unpopular. What’s the alternative? Two kinds. At the top end, there are some some excellent journals backed by governmental or charitable institutions (as is, for example, Sociological Journal Online). The paying institution sees promoting scholarship and science as part of its mission. Charges to authors may be minimal, or even free. That is a wonderful service to the research community. At the bottom end, though, are publishers who scent a money-making opportunity. They set up a journal (or, often, a whole raft of journals) promising open-access and fast turn-around, paid for by a fee tantalisingly within reach of an individual author – say $150 dollars. But to make as much money as possible, the worst of these new publishers (who often turn out to be individuals operating from private addresses) will accept just about any submission, and your decent work becomes lost in a sea of ephemera and worse. To compound the problem, the publishers may issue no DOIs, give no assurances that your article will stay online, and insist on keeping copyright of your work even if you try to withdraw it once you realise what’s going on. Your research ends up on some obscure corner of the internet, in amongst a lot of poor-quality work, and liable to disappear at any time, The whole sorry saga is wonderfully well documented by the campaigning librarian Jeffrey Beall. Inspired by the large-scale efforts of John Bohannon, of Science magazine, I decided to see how easy it would be to get a nonsensical paper get accepted by one of these predatory journals publishing (supposedly) in the humanities and social sciences – or even to get a fake author onto one of their Editorial Boards. Enter my colleague Fay Kortha, who kindly assented to take on the mission. As it turned out, it was far from impossible. Fay is an emeritus professor at the distinguished, if rather elusive, Basingstoke University College. Her Department is prone to occasional name changes but is currently known as the Department of Neurology and Management. Responding to an e-mail, she sent off a request to join the Editorial Board of the International Journal of Applied Language and English Literature. She soon received a very simple application procedure – the editor only required her name, e-mail address (kindly provided by aol.com) and her Basingstoke affiliation (which she forgetfully gave as the Department of Humanities (Social and Hospitality Studies); but the editor apparently forgave the discrepancy from her original enquiry). A short bio was also required, in which she claimed to ‘devote myself to furthering the objectives of open access in the international orbit’. Her application was immediately accepted, and her name is proudly listed among other academics (see image on the right). Emboldened by her success in getting onto an Editorial Board, Fay decided to try submitting a paper – not to her own journal (- conflict of interest) but to one of its many rivals. This was very encouraging, for a paper entitled “Problematization of neurological correlate of nomothetic factors in the service of structured living experience“. Publication was promised within a week – with one proviso: Fay had to pay $160 dollars by the upcoming Monday. There matters rest. Invitations to join Boards and submit articles continue to arrive through the e-mail. Fay and her new co-author Kanye B. Leavitt have another iron in the fire, so there may be a new publishing opportunity soon. But whether it will truly be in the spirit of ‘open-access’ is quite another matter. 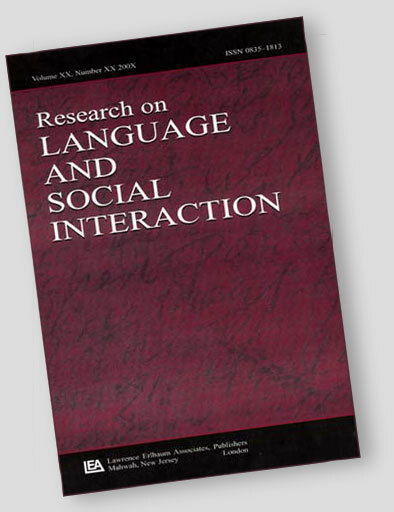 Fay’s paper was accepted by the International Journal on Studies in English Language and Literature. Their review was economical, consisting of random sentences selected from the Abstract, and prefaced with “It is found that…”. They wanted $250. Fay’s colleague Kanye B. Leavitt had a still more implausible paper accepted, by the World Journal of Research and Review. They wanted only $90 to publish it. Fay and Kanye have now retired. For more on predatory publishers, see Jeffrey Beall’s constantly updated site devoted to patrolling the more corrupt fringes of the publishing world. This entry was posted in Teaching on September 26, 2016 by charlesantaki.